For rubber to metal bonding, both injection molding and transfer molding processes are used to bond rubber to metal. The process depends upon the part application, specifically the use of the finished product. This an ideal process for bonding rubber to metal and plastic parts, an example of such parts would be gears, shafts, rollers, bumpers, and stops in a wide array of sizes and shapes. Additional uses for this process include rubber components bonded to steel, aluminum, brass and plastic. Our knowledgeable technical staff can assist OEM design engineers with design consulting and selecting the correct rubber compounds. Our team can provide recommendations based on the performance requirements and part application. Our goal, with every project, is to produce uniform, high-quality products as efficiently as possible. 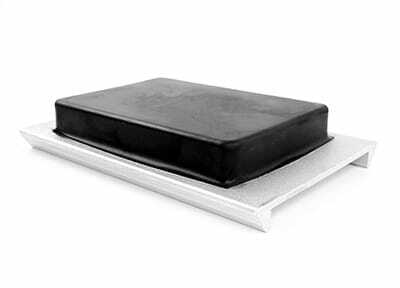 We develop customized rubber to metal bonded solutions to meet customer requirements. Qualiform outperforms all other rubber to metal bonding companies producing the largest, most complex parts in the industry. We offer unparalleled experience in this process and are more than happy to consult on your rubber to metal bonding application. Molded SBR rubber is an economical substitution for Natural Rubber in many applications because it provides significant cost savings. SBR is a good choice for applications where finished product exposure includes acids, organic salts and alkalis. In addition, SBR Rubber is soft and has good flexing characteristics at low temperatures, like Natural Rubber. It is wear resistant and non-toxic. Do not use SBR Rubber for applications that involve petroleum derivatives or exposure to chemicals. Special formulations of SBR can provide sunlight and heat resistance. Red SBR Rubber is popular for use as a gasket in low-pressure applications, such as washers and gaskets for heating and plumbing. Black SBR is popular for use in applications where abrasion is a factor. Qualiform Custom Rubber Moldingcreates quality custom rubber compression molding, custom transfer molding, custom rubber injection moldingand rubber to metal bondingwith the highest standards in customer service. SBR molding, compression molding, transfer molding, injection molding, rubber to metal bonding, rubber parts manufacturer, rubber products manufacturer, compression molded, transfer molded, injection molded.